In the face of the impending environmental catastrophe, we see actions of civil disobedience as a legitimate mean of alerting to the urgency of systemic change and taking our goal of global climate justice into our own hands! Therefore, on the 10th and 11th of August 2018, in an action of civil disobedience, we will block the oil port. Together with independent small groups, larger groups will block different routes in and out of Basel’s oil port. No matter if you already have action experience or none at all, in a self-organised small group or in a bigger mass blockade: Everyone can participate – together we send a signal for climate justice and against destructive fossil energies! Violence and endangerment of living beings is rejected as a form of action, and we will neither run out of escalation nor engage in provocations. During and after the action, we behave in solidarity and support each other dealing with repression and legal problems. Our action is intended to convey a picture of diversity, creativity and openness and is not directed against the workers in the port or the police. We come from different social movements and political spectrums. Together we take responsibility for the success of the action. With action trainings and further information in advance, we will prepare together for the blockade. 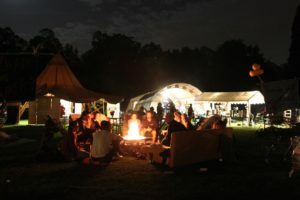 People coming without an affinity group will have the opportunity to get together at the climate camp and be well-prepared to go into action. If possible, come to the climate camp in Basel at the latest on Thursday evening, but even if you can only be there on Saturday, we will probably find a way.